In medium bowl, beat cream cheese with fork until smooth. Stir in yogurt until well combined. Spoon mixture into serving bowl. Top with caramel topping; sprinkle with salt. 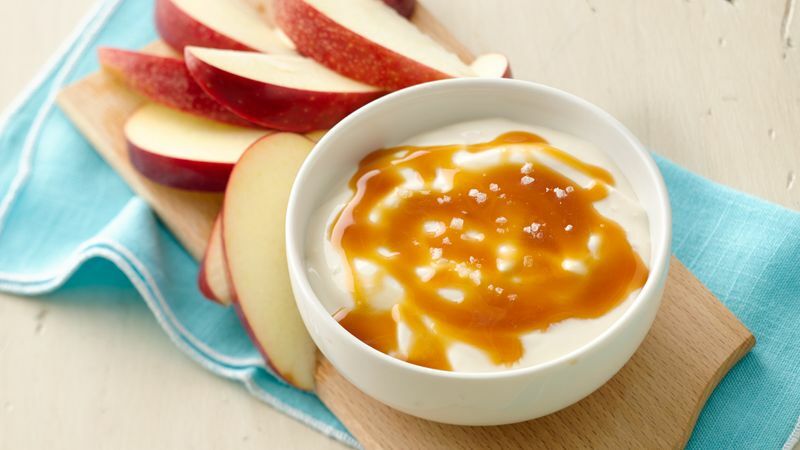 Serve immediately with apple slices for dipping. Serve this dip with sliced pears, strawberries or peaches for a flavor twist. For an extra special treat, serve leftover fruit dip over pancakes, french toast or angel food cake.